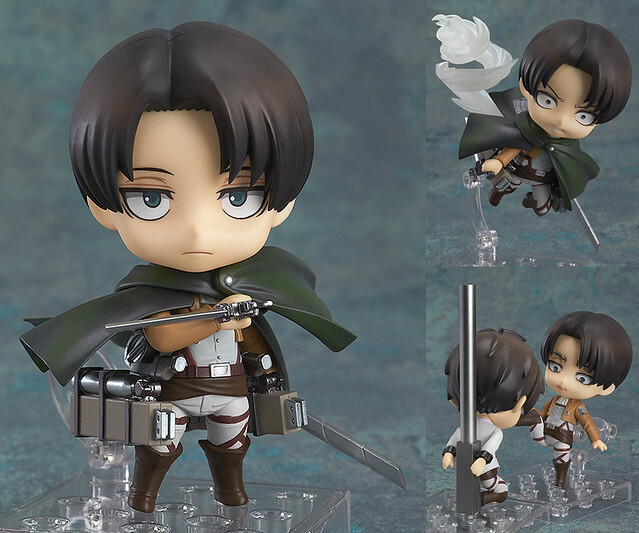 I guess Shingeki no Kyojin is on the roll here, as GSC has just announced that Nendoroid Levi – the 3rd character from the popular anime series to get the Nendoroid treatment – has been available for pre-order. Hey… you lot… what the hell is going on here? From the popular anime series ‘Attack on Titan’ comes the forth character to join the Nendoroid series – mankind’s strongest solider, Levi! His standard expression, a combat expression and a condescending expression are all included! He will be released on June 2014, priced at 4200 Yen. Are you getting him, Nendonesian? This entry was posted in News and tagged attack on titan, levi, nendoroid, shingeki no kyojin.